Managing a restaurant is stressful. The P&L statements, the vendor contracts, keeping up with the newest labor laws, scheduling conflicts… managers have a lot on their plates. It's no wonder from time to time managers need a little reminder to refocus some of their energy on day-to-day operations. A restaurant manager was casually observing a new cook. The employee was prepping tomatoes by cutting them in half and throwing away the half with the stem!After questioning the employee, the manager discovered that not only had the employee never been told where to find a tomato corer, he didn't even know such a tool existed. He had also never been told where the food waste bucket was, or how to use it. It took only a moment to correct, yet it didn't escape the manager that this employee had been doubling the restaurant's tomato cost because he hadn't been properly trained. Managers deal with similar issues every day. From food servers using expensive register tape as make-shift order pads to bartenders over pouring expensive alcohol, the seemingly small amounts of wasted money quickly begin to add up. One of the most immediate and effective ways to save money in a restaurant is to take some time to observe employee work habits. It may only take a few short moments to correct a simple bad habit or training oversight, but managers may also find that outdated policies and procedures need to be completely rewritten and best practices need to be reestablished across all areas of the restaurant. This is an opportunity to save the business a substantial amount of money. The average restaurant spends between 25-35% of their annual operating expenses on inventory. Observing kitchen staff is crucial to keeping food costs under control. Along with ensuring cooks are being properly trained on prepping and portion control, managers should occasionally observe employees tasked with checking in orders. Make sure employees are properly inspecting food items, especially produce, for any signs that the food isn't as fresh as it should be. Make sure employees know the procedure for returning any food items that don't meet restaurant standards and reinforce the fact that they have the authority to refuse a bad order. While keeping food costs down, managers who observe this best practice are also protecting their customers from possible food-borne illnesses and protecting the business from potentially devastating lawsuits and bad press. Another way to identify food cost issues is by observing current inventory procedures. Inventory is arguably one of the most mundane and time-consuming procedures in any restaurant. Whether overhauling daily or annual inventory procedures, consider rotating the responsibility and dividing the task up amongst as many people as possible. Not only do many hands make light work, but numbers are more likely to be accurate when an employee only needs to count a small area. Rotating the task ensures that the same employee doesn't continually miscount items or even intentionally fudge figures. An automated inventory control app can make this task even more manageable and can streamline the ordering process as well. While rushing through a crowded dining room, take a moment to discreetly observe food servers as they interact with guests. Are they following the restaurant's policies and procedures? Are they up-selling specific items? At the POS, is the food server properly ringing items up? Take a moment to do a "check audit". Does the check about to be presented to the guest accurately reflect the items ordered? In the kitchen or at the bar, does the food server verbally ask for specialty items from other employees? Overall, managers want to make sure that a food server is following through with his or her training and using the proper tools for whatever task they are performing. Watch for common mistakes, such as over-using garnishes, over-pouring wines-by-the-glass, being wasteful of office supplies, or over-using complimentary items like bread and butter. Even the practice of automatically delivering water to a table may need to be reevaluated. Many restaurants have stopped this practice, as it wastes not only the water in the glass but the manpower and energy used to wash hundreds of glasses per night that have never been used. Consider offering bottled sparkling or still water to guests as an alternative to the automatically delivered tap water. While adjusting staffing levels is a difficult task, often requiring managers of new restaurants to take wild guesses at business needs; making the effort to observe employee stress levels during busy periods – and adjusting staffing levels accordingly - is critical. This not only lets employees know that you care about the quality of their work environment; it also makes it easier for those employees to service guests in a timely and friendly manner. Pay close attention to times when employees seem too busy to interact with guests in a relaxed and friendly way, even unable to engage in short conversations. Watch for employees to stop making eye-contact with guests. This is a sure sign that they are stressed and not able to perform at expected levels. 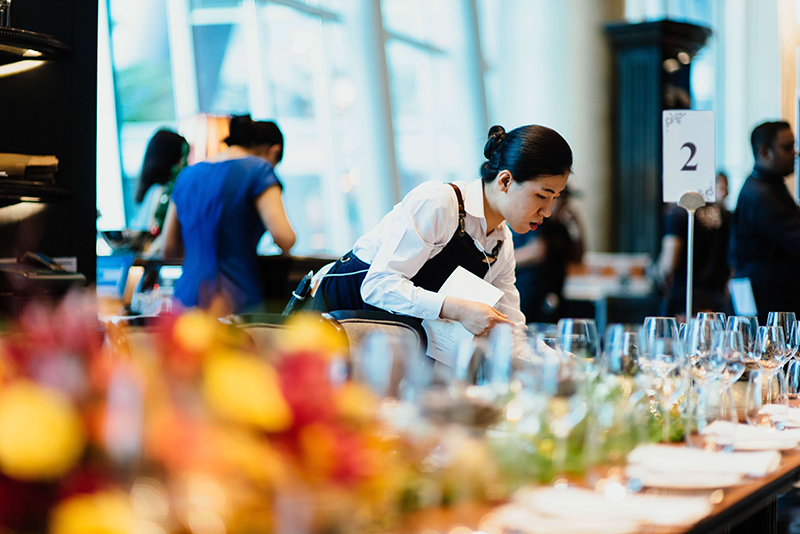 Effectively adjusting the staffing levels to better suit the needs of the business will save the restaurant money by retaining valued employees and will ultimately increase revenue by ensuring guest satisfaction and increasing the likelihood of repeat business. Training should be provided, as well as a list of possible areas of cost inefficiency. A discreet way to report findings should be established. Communication amongst members of management is key to the success of any effort to control operational costs. Employees are the backbone of any restaurant. Taking the time to observe them or talk to them about any discrepancies they notice between established policy and actual procedures being followed can result in numerous benefits to the business. It's often been said, "The devil is in the details." For restaurant managers, those details often include significant savings and a healthier bottom line.